Are you ready to escape the 9 to 5? Do you want to leave your job and the workday grind behind? Maybe you’ve had enough of your daily commute, cubicle lifestyle and just overall the office politics and the drama? Are you always counting down the minutes to 5 pm so you can be free? Or even more frustrating, maybe you hate your job and every single day you work there you feel like you’re sinking more and more into a life you hate. You’ve heard of people quitting their 9 to 5 jobs to become self-employed and starting their own businesses, but you’re not too sure where to start. How do you actually transition from the 9 to 5 to freedom? Listen the truth is we’ve all thought about leaving our jobs one day or another, but hardly anyone actually quit their day job and successfully escapes the 9 to 5. Making the decision to leave the 9 to 5 lifestyle is a hard one, but once you’ve decided writing that resignation letter and to say the words “I quit” is even easier. It’s that transitional period between deciding you want to escape the 9 to 5 and jumping ship into freedom lifestyle of entrepreneurship that you need to worry about. The last thing you want is a taste of freedom just to end back up in the workforce a few months later because you were NOT prepared. Leaving a 9-5 world and everything that goes along with it and starting your own journey is becoming more and more popular. Working a desk job is just not something that everyone can or wants to do. One of the greatest feelings is realizing that you are ready to move on from the 9-5 and start your own career. Although freedom is one of the best feelings, it’s easy to be overwhelmed without a plan to successfully transition from the 9 to 5. When you get started, setting goals for how to leave your 9-5 can be confusing. 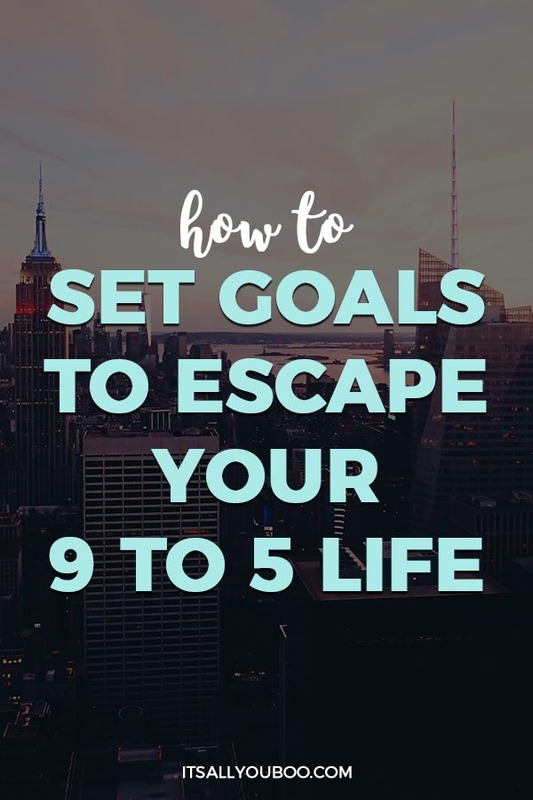 Everyone is in different stages of their escape plan, so your goals may be completely different than the person also trying to leave their job. The first step to any process like this is allowing yourself to know you are ready to move on. It is a big change; it is a change that you will impact your entire life. You want to make sure that you are ready for this, it is important that you have a true plan. Here are five actionable steps to setting goals for how to transition from the 9-5 life to your entrepreneurial journey. You’ve made the decision to leave your job, now what? Taking the first step is all about truly knowing your reasons for making this move in the first place. It’s really important that you have a lot of clarity on this from the get-go (like before you actually go). You need to really know the reason why you are ready to make this big step towards freedom! WHAT TO DO: Start by creating a mind map that charts out where you see yourself in the next year, 5 years and 10 years. Think about how you are going to get there. Why are you leaving the 9 to 5? What changes are you hoping for in your life? What needs to happen for you to get where you want to be in one year? 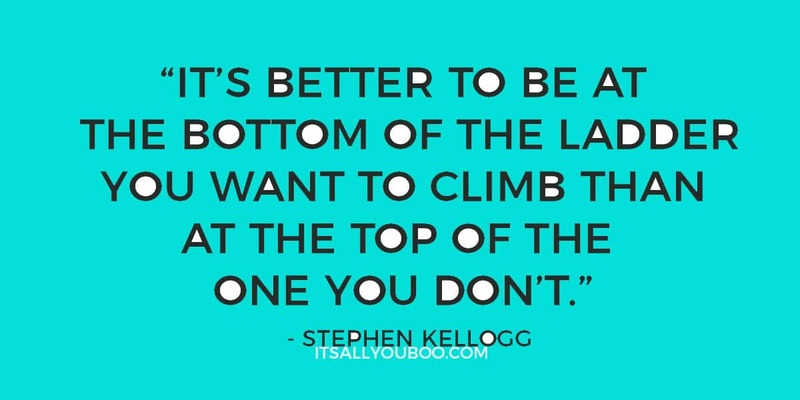 What do you have to accomplish in order to get there? Set clear goals for yourself. Then post this somewhere you can see it all the time and be reminded of why you wanted to leave your 9-5 life, to begin with. It is important to make these goals in the beginning because this is going to be the blueprint for what you do and where you go. It is also important to note, changing this a bunch will confuse you and hurt your purpose, take some time to soul search and learn who you are and why this is what you want to do. Let’s be honest, money is one of the most stressful parts of life, especially when you have been used to consistent cash flow during your current job. How can you get ready to no longer get a steady pay? Have you started saving several months of pay to bridge the gap? How much start-up capital or expenses will you need to pay for? It can be a little stressful getting everything pinned down when leaving and starting your journey to freedom. WHAT TO DO: This is going to mean sitting down and creating a strict budget, knowing what you can spend and when. It is important to not veer off this path until you are confident with the cash flow you are receiving. Once you master this you can really master all the other stuff! Really take time to plan out where you want to work, learn yourself and think about where you work best. Choose your work environment wisely. Everyone is different, some need complete silence, some like to have dance parties in between. Either way, finding that spot for you to put your head down and get to work needs to be where you can be uninterrupted for a while.  RELATED POST: Do You Need to Escape Your Toxic Workplace? 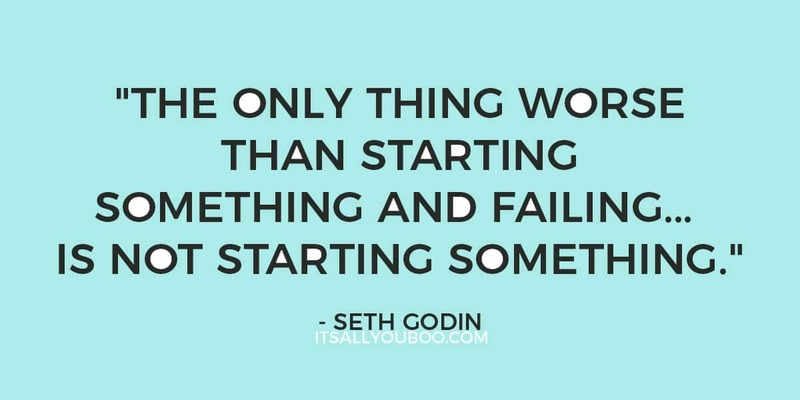 Actually taking the next step sounds like the most amazing plan, until the time comes that you have to actually do it. How do you actually follow through with your escape plan? 63% of people admitted that they are not engaged when it comes to their jobs (Washington Post, 2013), which makes it even easier to walk away from their jobs when the time comes. But we are still human and we are always going to think twice about our decisions. WHAT TO DO: Set your escape date! Making a date helps a lot, telling yourself you will leave that job no later than a certain date, helps you have a countdown to freedom and get excited about it. Or maybe for you, an exit date wouldn’t be best and you would like to make a monetary goal after you have saved a certain amount a year you would feel comfortable leaving your job. It truly is all about when you are ready, you never want to leave and feel like that you regret your decision, but you also don’t want to stall and make it go on forever and ever. The only person it is hurting is you and you will lose all that great motivation that could have gone into your next journey. In a typical work setting, you have some type of supervisor or boss, but when you decide to embrace your freedom, that is the first thing you will feel lift off of you. Then reality sets in a little bit you realize that you have to be your own motivation. 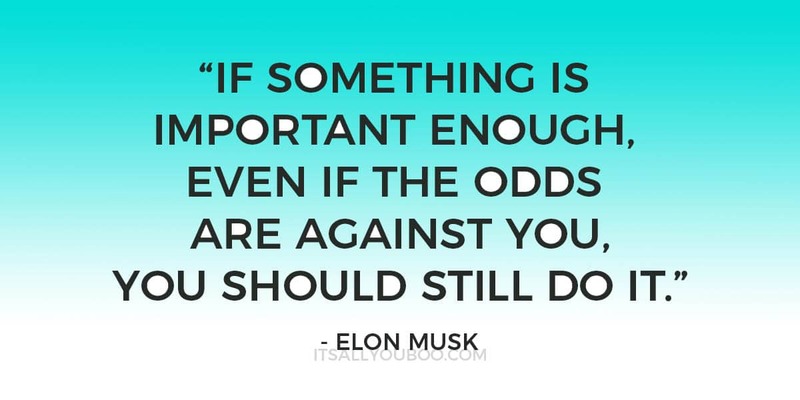 WHAT TO DO: The best way to attack this is making goals for what you want to accomplish daily, weekly and monthly. Not only will you write down your goals, but HOW you will get them done and a strict deadline. This is a great goal setting exercise because not only does it get you motivated to work on new goals for your business. You’re ready to take action because you now have the freedom to do it however YOU want, it also helps you understand how you learn best, how you handle stress, and any traits that you may have that are harming your business. Becoming your own boss means that you have to get yourself to quit procrastinating and to stop being lazy. At the end of that time period, it could be weekly or monthly for you, look back on the goals that you set and see what you did well, what you could do better on and what you sucked at. As you continue to complete these, you will see that when you do something great you will reward yourself and when you realize you need to work on it, it is easier to say that to yourself then having some corporate person knock you down for it. Are you tired of pretending you can continue on in your 9 to 5 until retirement? Ready to accept that you don’t have to wait to be 65 to enjoy the freedom to do what you want? The reality is that it’s always been a choice. It’s a choice you have right now, no matter where in your life or career you are. You can choose to stay and continue doing what you’re doing now (and hate! ), or you can start making a different choice. Even the smallest choices like spending $5 daily on Starbucks, or buying a new purse to feel good or to save for your escape fund are important choices. Wanting to quit is the easy part, getting prepared to successfully make the transition from employee to entrepreneur requires strategic planning and discipline. Don’t just leave this desire to be free as a dream or you’ll never actually achieve. Ready to actually escape your 9 to 5 work grind? Get your Strategic Planning Workbook and let’s create your escape plan. Sign up below for your FREE Workbook + weekly tips to help you slay your goals. Look at your life and determine where you want to be. What do you need to do to make the dream a reality? Your dreams of escaping the 9 to 5 life are worth pursuing. Get started today on creating your dream job! Jordan Mason is the founder of Jordan Mason Consulting, a strategic public relations consulting business. A graduate of the University of Kentucky, where she received a B.A in Integrated Strategic Communication with an emphasis in Public Relations. Jordan hopes to further her dreams by continuing to work and learn in the field of public relations. 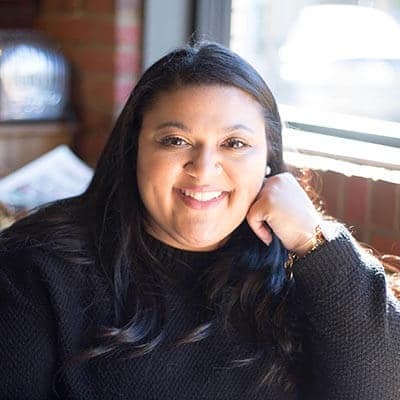 Her goal is to help small businesses and entrepreneurs gain publicity for their businesses and brands. Awh so great to hear! Thank you so much for your kind words and best of luck in your entrepreneurial journey! This is a great article. My business partner and I decided to go out on our own in 2009. It was a scary scary thing. There was a lot of planning, saving, and pretty much working for free for a while. We made it and now so proud of our accomplishments. You are so right about being your own motivator. It was hard but so worth it. Thank you Shelley! It’s true being your own motivator can be really difficult, but it is really worth it! I’m a big fan of setting goals. It’s so important to do it no matter if you work for yourself or for someone else. But when making the change to leave a regular 9 to 5 job it’s even more critical. Same here Sue! I love setting goals, once you get some lined up and cross them off its the best feeling! I loved reading this. 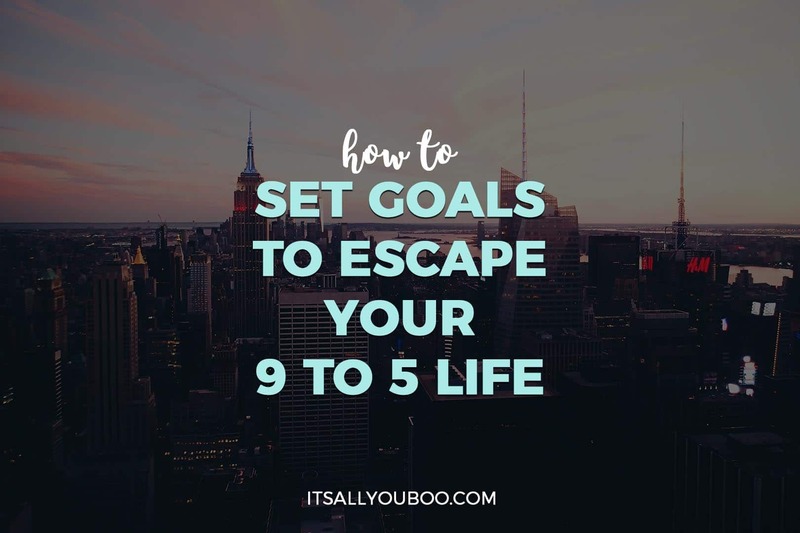 It definitely helps to have clearly defined goals for ditching the 9 to 5. Especially money goals, which is one of the things that holds a lot of people back. Yes! Money is one of the hardest things about going out on your own, without a plan it can really alter your business! I hope so too Dada! Thank you for your kind words and best of luck in your journey! I love this so much! About 4 months ago I STOPPED that 9-5 mess and I couldnt be more happy and thankful for that opportunity. I am hoping that I can continue being my own boss for many years to come! I love your tips and hope that more strong women can take this on! Thank you so much, Censie! Good luck to you on your journey!! Great post – and wonderful tips. It’s definitely important to have your money figured out! Sooo important to figure out your money BEFORE quitting your 9-5! Leaving your 9-5 is definitely a commitment that must be thought out very carefully. Don’t be rash and making decisions based on anything other than logic. Nowadays there are so many more opportunities to replace the 9-5 but most of the time, it takes a while to get that much desired compensation you used to make. You are quite right, it really does need to be planned out. I jumped into it and thankfully haven’t crashed and burned. I do wish I was more prepared but hey I’m here now. Taking your time to get your ducks in a row is a great approach. And it’s so much easier these days, so many opportunities like you say to replace your 9-5. Great road map for taking charge of your life and becoming your own boss. 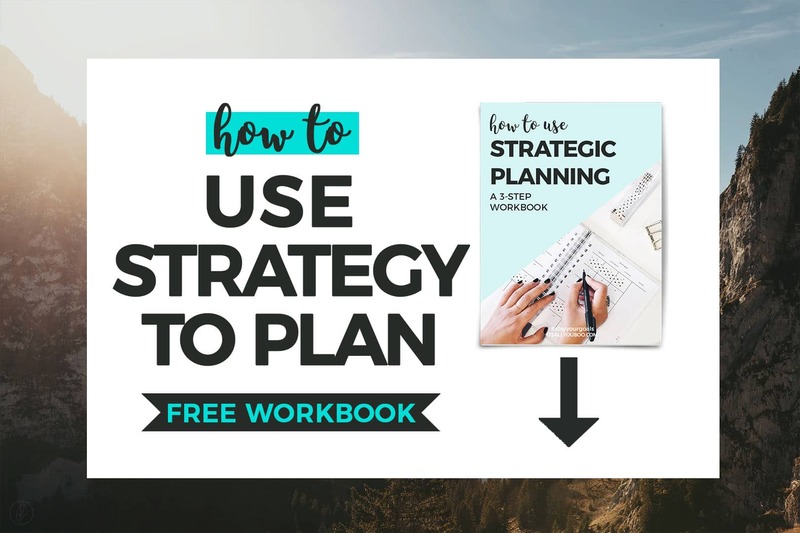 I like that you included a strategic planning workbook to help get the process going. Thanks so much. So I agree with you, such a great roadmap created for us by Jordan! This post is what I needed. I thought I’ll get more stuff done now that my pre-schooler is actually not crying at pre-school anymore but I actually head home and couldn’t get work done. Hello TV! So thanks for tip #3, I should find a better place to get work done. Thanks!!!! Yes, Kathleen! That is such an important factor that others don’t think about. Your environment is everything, so make sure to pick a place that makes you happy and motivated 🙂 Good Luck! I work from home now full time and there are times I feel like I need an escape from being self employed. I guess it is the same if you work 9-5 or from home. We all need and escape and setting goals is so important. Thank you so much! I am glad you enjoyed it! Girl, you’re preaching to the choir. I am DYING to get away from 8-6 and just live a little more freely. That $200 gym membership? Cancelled. $5 starbucks every morning? Nope. Lol this is a great post! YESSS Love it! If you wanna escape your job you’ve gotta cut, cut, cut the spending. And for me, the gym membership was the first to go too. I make coffee at home too! These are helpful tips for anyone who love to escape from full time job.I did the same.Once you have a plan,it is easy to manage the work from home and earn a steady income. Thanks so much, totally helpful post by Jordan! The plan is everything, you so need one if you want to make a consistent income to be able to work from home. It’s that Step 2 that always seems to be the hardest…the money! But I’m definitely just starting to imagine a future for myself where I don’t have to fight traffic every morning. Thanks for the advice! For me too! It’s always the money that makes the excuses for why you can’t, and then becomes the number 1 concern once you do. I’d rather fight ways to make more money than traffic any day though. These are some good tips. Working for yourself is hard. I’m not gonna lie to you. You need to keep yourself organized and be motivated every day. It’s hard work but it will pay off in the end. Wow! Lots of really great information here! Insightful write up. I recently centered my work along the lines of a digital nomadic approach and am loving it. SOOO jealous that you’re a digital nomad, that’s my next big move I’m aiming for, but realistically not until 2019. Great tips & information. Important steps to start any new business. Aren’t they though? Jordan gave us some really amazing advice on this one. This is so much amazing information. Thank you for sharing your knowledge with the rest of us ready to get the heck out of the mundane punching in and out of life! I feel like this is something so many people want to do but don’t know how to plan to succeed at. Thanks for the concrete and easy steps! Thank you! I hope these tips can help you in your journey! Lots of great insight here! I was able to quit my 9-5 job and focus on blogging a few years ago. It hasn’t always been easy, but I’m thankful I did! Great post! I think that the initial “thinking of doing it” phase is the hardest because there are so many unknowns. If you put all of the pieces together and take action every single day towards your goals, you’ll be able to leave that job sooner than you think! This is great and so true! I recently ditched the 9-5 and I couldn’t be happier. I must say that I did a lot of what Jordan has suggested, so I really second what she is saying here. Great post. Such an informative post. I was able to quite my 9-5 job. and focus in just one task. Will check this out. Great post. It explains well how to get out of the 9-5 life. Thanks for sharing. Totally agree with you, Jordan did a wonderful job showing us the escape route. Giving yourself 5 years to transition to being full-time self-employed is a great plan. It times time to master the skills you need, especially time management. You’re wise to be careful!